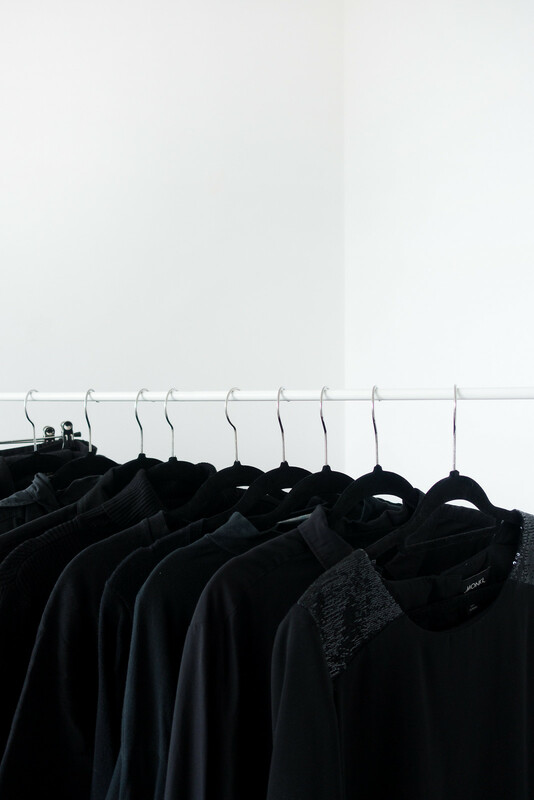 There's a lot of talk about capsule wardrobes: how to build one, what pieces to include in it, and where to buy new items. The focus tends to be on starting from scratch with items you don't own rather than using what you already have. When you feel like you have nothing to wear, it can be tempting to declutter everything and start over with brand new purchases. The reality is, you probably already have a bunch of clothing and several outfits you love but it's hard to identify them because your wardrobe is too full and needs decluttering. If you're overwhelmed by your choices, spend too much on clothing, and feel as though you never anything anything to wear, a capsule wardrobe is a good place to start. It's where I started five years ago, when I stopped buying fast fashion and started building my all-seasons wardrobe. A capsule wardrobe can help define what you like to wear and make choosing outfits easy. 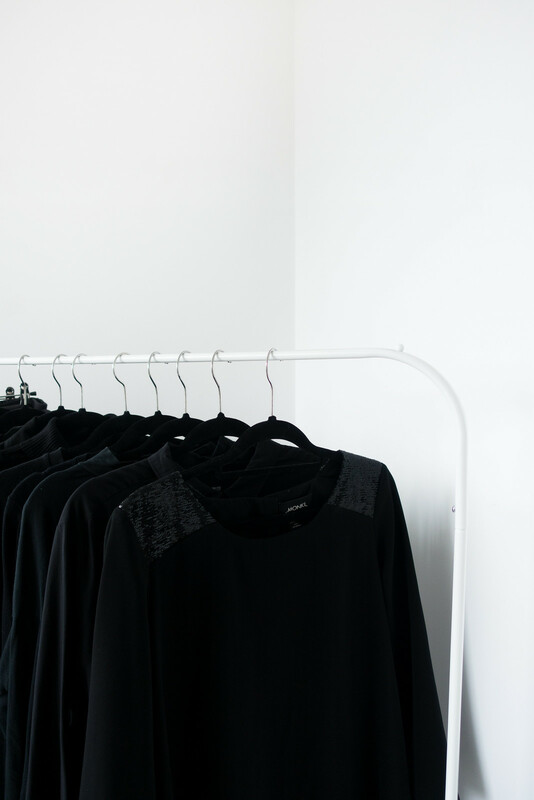 It's an excellent starting point for streamlining what you own; creating a capsule wardrobe will help strip everything right back to the essentials, giving you a foundation upon which to build an all-seasons wardrobe. 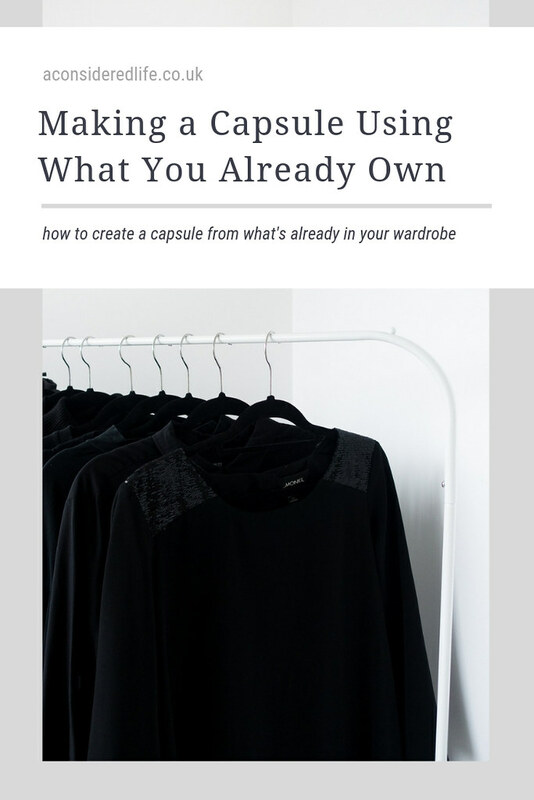 If you're constantly shopping for your "capsule wardrobe" though, it's just a wardrobe, so this post will help you to create a capsule using what you already own, without buying an entirely new wardrobe. Highlighting "must-haves" for a capsule wardrobe is impossible; everyone lives a different life and ultimately needs different basics to see them through the seasons. I'm guiding you through the creation of a capsule wardrobe using my own essentials and why I chose them. Sub my must-haves out for your own. Thinking about what you need for a practical and functional wardrobe; your wardrobe needs to work for you. The point of a capsule is to cover all basis with mix-and-match pieces. If you don't enjoy wearing something, like heels, don't include them in your wardrobe just because they're touted as a 'must-have' item. Life's too short to wear things that make you uncomfortable. I selected the items I know work well together and will cover me for all seasons and occasions. I based my choices on what I already wear on a regular basis and my lifestyle habits. I'd recommend pulling all the clothes you wear regularly from your wardrobe, and that will give you a good indication of what you enjoy wearing, what your basics are, and what you're missing. What do you think about capsule wardrobes? Would you or have you tried creating one?